Our students have so many stories to discover and they may not even realize it! I’m not just talking about story ideas they can write. I’m talking about the stories they can find around them, close to home. The stories that they can find in the people and things around them that help to make them who they are. 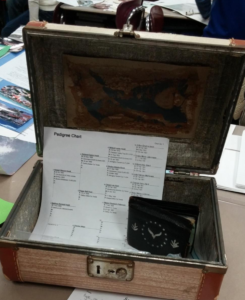 I’m excited to tell you about this wonderful project idea that came about years ago when I first started teaching immigration to my students. 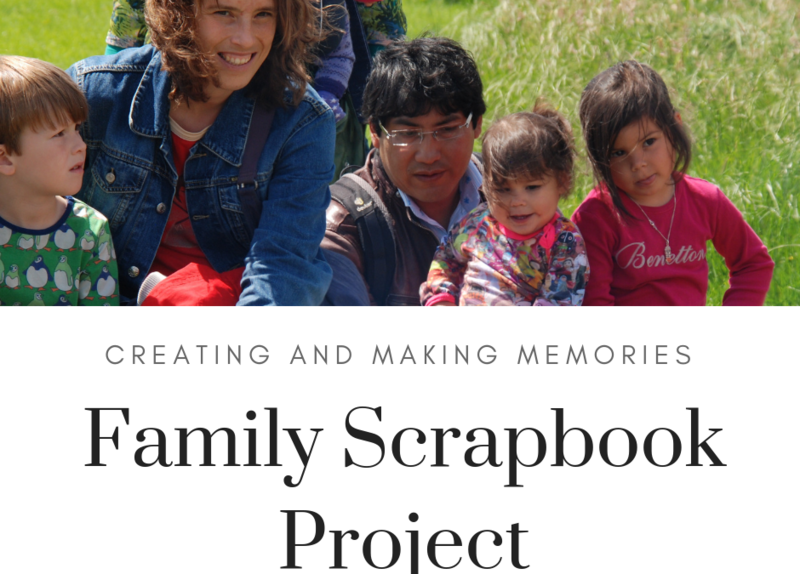 It’s called the Family Scrapbook Project. It was initially meant to be a project where students asked about and interviewed their family members to learn more about their heritage and history. But as the project was developed, it became much more and the focus evolved as well. It helped my students discover so many things about themselves and their families. 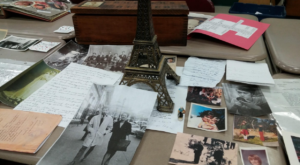 The project is one where students not only are encouraged to interview family members, but to also gather objects and documents that are important to their family. The best part, in my opinion is for students to create some important documents of their own! An option in the project is for them to collect signatures of the special people in their family. Another option, my favorite, is for them to ask for pieces of advice from others they admire and respect. As the daughter of an archivist, I’ve learned the value of having these types of special things. Throughout my life, I’ve done my own collecting: family photos, the hospital bracelets of my newborns, family heirlooms and artwork, playlists of Armenian music that celebrate my heritage. People make scrapbooks and photo books for special occasions all the time. Maybe you have a few (or a lot) in your house. You may have a box of special things that you’ve put aside. Or maybe there are random heirlooms scattered around the house: a piece of jewelry, an old vase, artwork that was handed down to you, a china doll, a collection of silverware. These are the things I want my students to start learning about and appreciating for themselves! This type of project allows students to do just that: discover the valuable things their family does have, even if the thing doesn’t have monetary “value.” That is not what’s important here. The important part is the self-discovery! The overall feel of this project is very open. Even though I use this as part of my immigration unit, its focus is really on the students discovering more about themselves and their families. I feel strongly that this is an important thing for students to do. We take about 30-45 minutes to really go over the project and discuss the many options they have for collecting things for their project and how to house their project. I have outline all these logistics in my “Family Scrapbook Project” eResource download. It includes the actual handout I give my students along with the slideshow I use and images I share to help students understand what kinds of things they can be gathering. The project is graded. After all, the students are doing a lot of work and I feel it’s necessary to validate their effort with a grade. I grade it simply though, not on the quality of the objects included, but on the fact they have done the leg work and put them together in a cohesive project. The full project download includes many extras such as due date sheets and reminders as well as an easy-to-use rubric for grading and a reflection piece. Sure, as with any big project, there is going to be a little stress you have to squash. Undoubtedly, there will be a parent who mistakes this project as something where they have to go digging through files and boxes for hours to get things of value. Of course, there will be families who see this as an opportunity to do just that, but assure your families that is not necessary! Students will come in with questions and parents will email. The biggest message I tell them all is, “You can make this project what you want. All I’m asking for is a small collection of things that are important to the student and your family.” Then I point out some of the simpler ideas that are outlined in the handout and that usually calms any stressors the student or family may have. 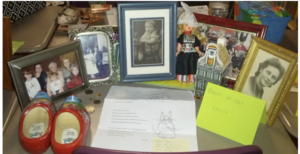 Each year, students proudly bring in their family findings and can’t wait to share with me what they have. I love seeing the variety of materials and stories kids have! There have been a few cases where I have been brought to tears because of this project. There was one year when one of my boys used this project to interview his grandfather and it allowed this man to finally tell some of his stories to his family when his grandson asked him to share. The grandfather wrote the stories down and shared it with his daughter and grandson, my student. 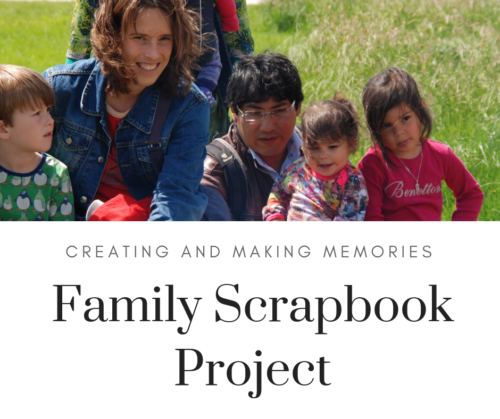 I want to thank you for assigning the children their scrapbook projects. I am 43 years old and have never heard the story of how my father came to America. Growing up, I was aware that as a child he lived in refugee camps and that with the assistance of Father Monk he and his family were able to immigrate to America. He never spoke in detail about this migration, because it was too painful for him. He witnessed his middle brother Alan, the dental student, be shot and killed during their journey. Peter and his grandfather have a special relationship. Over the years my father has tried to open up about this pilgrimage but he has never been able to actually speak the words. I feel our family has been enriched now that he has been able to share his story with us through Peter and the written word. The important thing I have had to learn over the years is to take this project and introduce it gently. Not all students have a traditional family. What’s more, is that some students don’t even have a family. A teacher may think that doing this type of project is just asking for trouble, but I disagree. In fact, after even combating my own doubts about giving this project a few times, I pushed through and made sure that my presentation of the information still allowed students to complete the project with success and pride. Even students that had troubled home lives and “nothing valuable to share” were able to put together something they were proud of. Let me give you some examples of the extremes I have seen. One student came in with a rolled up pedigree of her family dating back to the Mayflower. Also included were hand-written recipe cards, black and white pictures of weddings and even copies of immigration papers of a great-grandparent who came to the US from Italy. Another student, the same year, brought in plastic jewelry, a couple of bent photos and an old Atari gaming cartridge his mother had found somewhere. Every child is different, unique and full of wonderful things to share. The first student’s collection was impressive. Yes. But so was the other’s. The plastic jewelry was something special from the student’s early childhood, the bent photos brought a smile to the student’s face and the Atari cartridge fascinated the student’s classmates. A project like this celebrates everyone’s individuality while also illustrating how alike we are. We all have stories to discover and share! 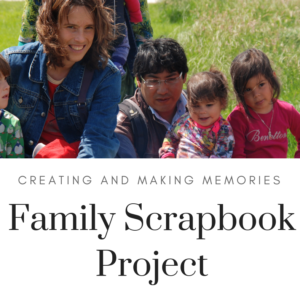 This freebie includes the list of activities and items a student can include in their Family Scrapbook Project, a copy of the signatures page and the advice page so that students can collect those right away!